We're trialling an 'inclusive hour' at several of our stores in Kent to help customers with autism and dementia and others who struggle with loud noise as part of the new Purple Tuesday initiative. We'll be turning off displays, tannoy announcements and other noises from 9-10am every Tuesday at our stores in Ashford, Broadstairs, Folkestone, Gravesend, Kingshill, Maidstone Living, Sittingbourne and Tunbridge Wells after meeting local charities and authorities to discuss what we can do to improve the shopping experience. In partnership with Kent County Council, we've also been holding dementia and autism awareness sessions for colleagues across stores in the county. 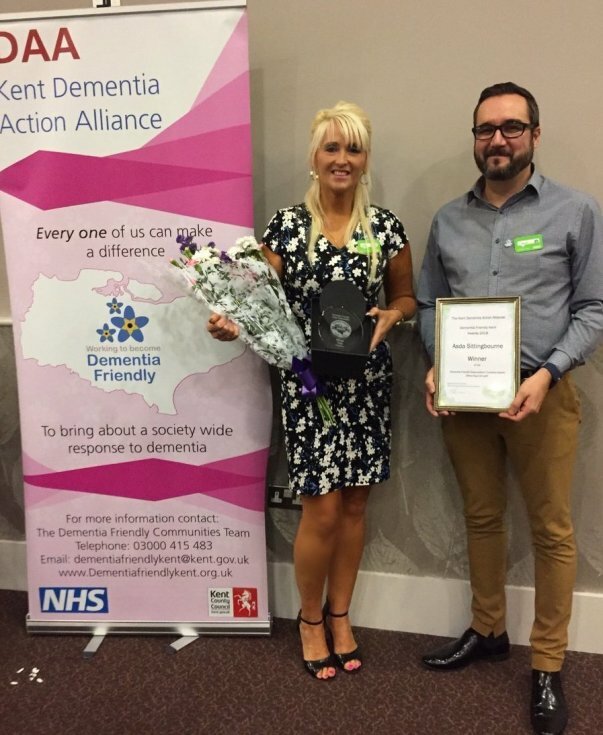 Our Sittingbourne store was recently named 'Best Dementia Friendly Company' at the Dementia Friendly Kent awards and the store's community champion Claire Fosbeary said everyone at the store was backing the initiative. Claire said: "This is something very important to everyone in the store, and I know is extremely relevant to some of the groups I work with in the community too. "It's great that Asda are supporting Purple Tuesday – everyone in the store is getting behind it. "It's a big thing for our store to be involved in. Hopefully it will get bigger year on year as more people become aware of it." You can find out more about Purple Tuesday here.